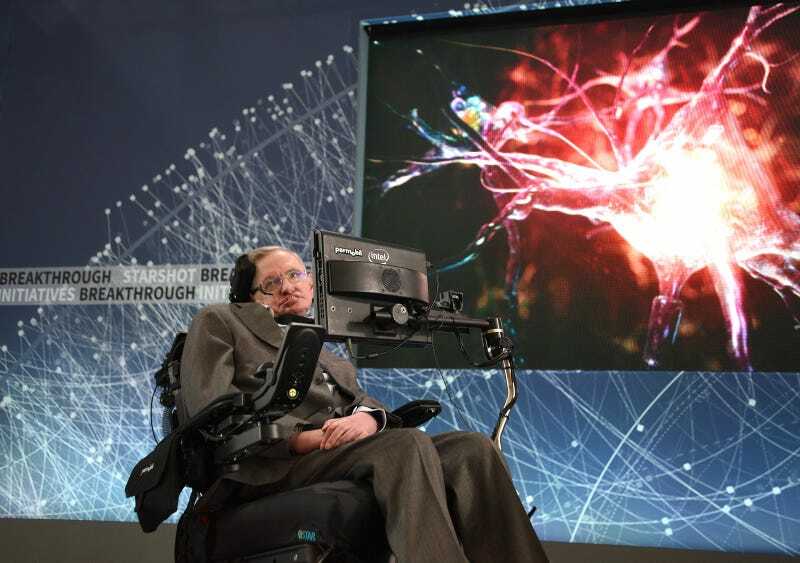 Stephen Hawking speaks at the One World Observatory in New York City to announce Breakthrough Starshot, a new space exploration initiative on April 12, 2016. Physicist Stephen Hawking passed away yesterday at the age of 76, leaving behind a legacy of illuminating observations about the cosmos. 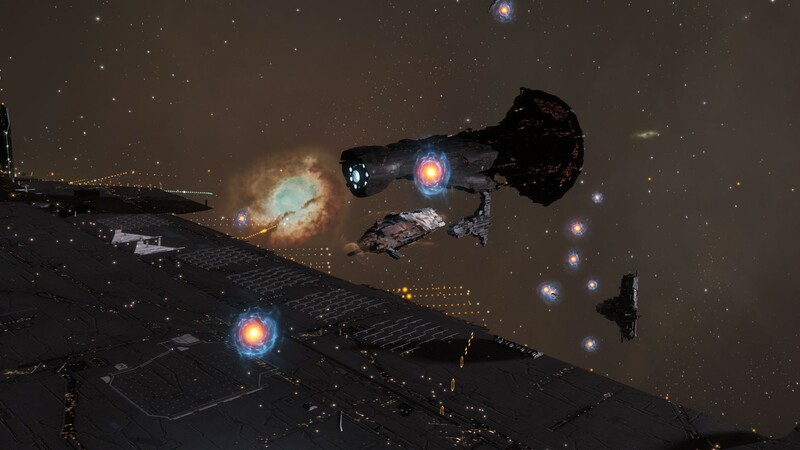 Well-wishers in EVE Online are honoring his life by dropping dozens of interstellar beacons to commemorate one of history’s greatest minds. 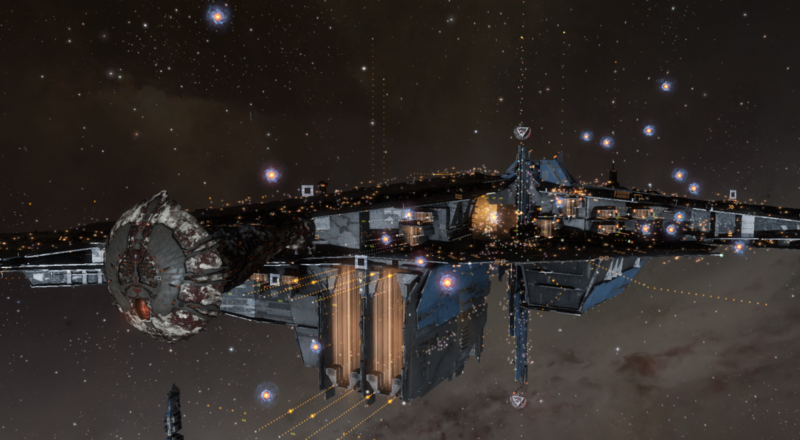 Following Hawking’s death, players in the MMO EVE Online are flying into deep space to drop light-emitting cynosural beacons to create a massive spacelight vigil. Cynosural beacons are normally used to set warp points in space to which players and their giant fleets can jump. They create massive bursts of light from great distances and can only be dropped in the game’s lawless null sectors. A user on Reddit suggested the gesture and plenty of players were glad to oblige. 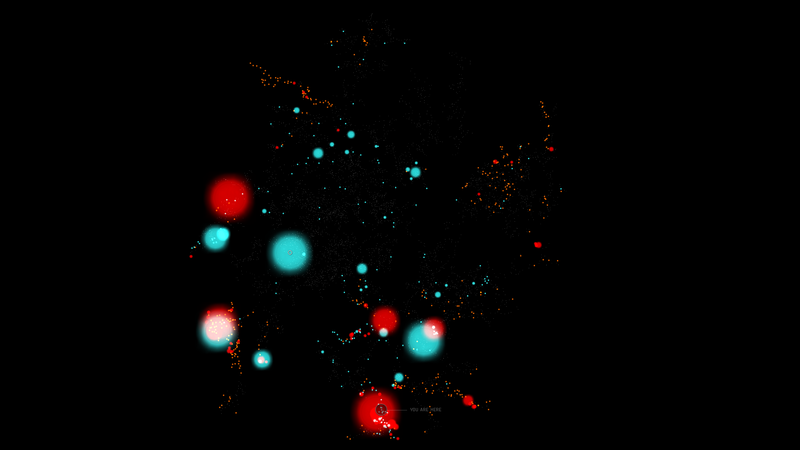 Numerous hubs throughout EVE Online are now bursting with bright energy clouds, even in areas where players are at war. The pictures above show a dazzling display worth more than any million-dollar battle.